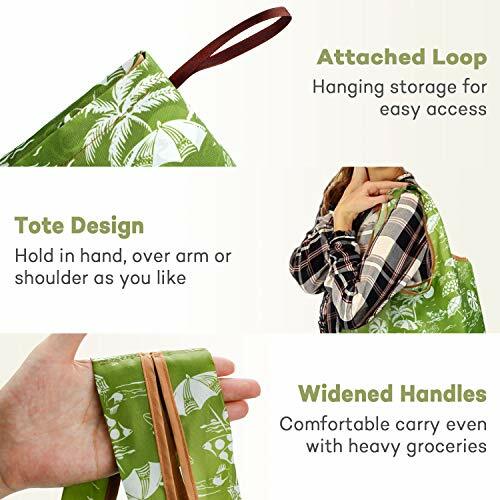 adds to the strength for holding up to 35lbs and durable use, so you can load each foldable reusable grocery bags with 2 ~ 3 gallons of milk with ease. 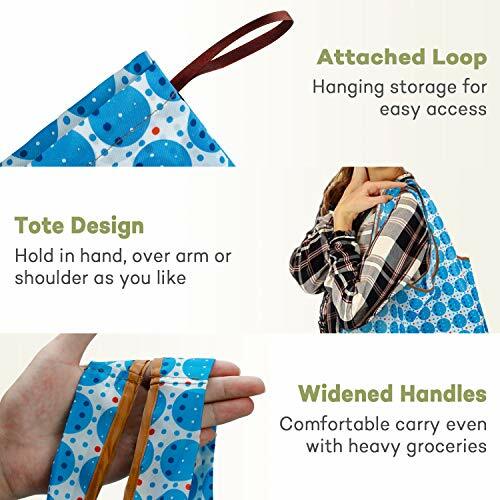 6 roomy reusable grocery bags foldable when open the pouch. whether you decide to stop by a store on whim or have an unplanned shopping trip. 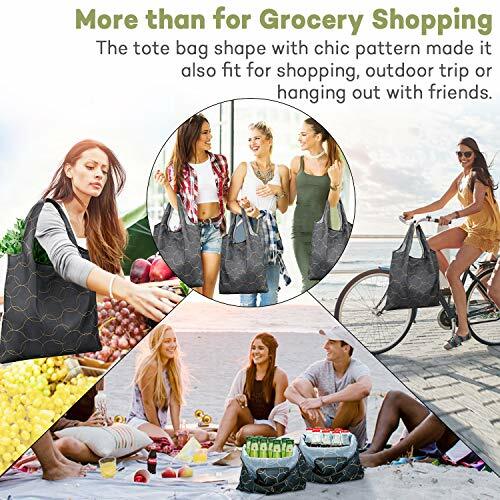 The cloth reusable bags is easy to clean and you can just throw it in the washer, and it's air dried quick less than 3hrs for next shopping. 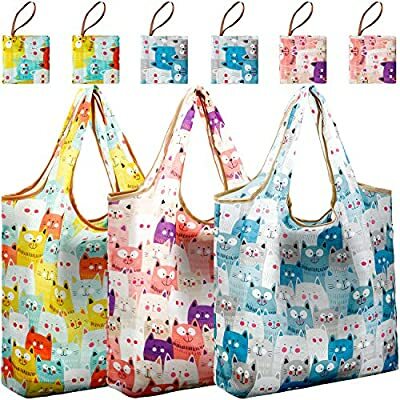 So rest assured to pack various groceries, fresh produce or frozen food into the reusable cute gift bags. a gift to your family and friends for the 6 colorful looks. 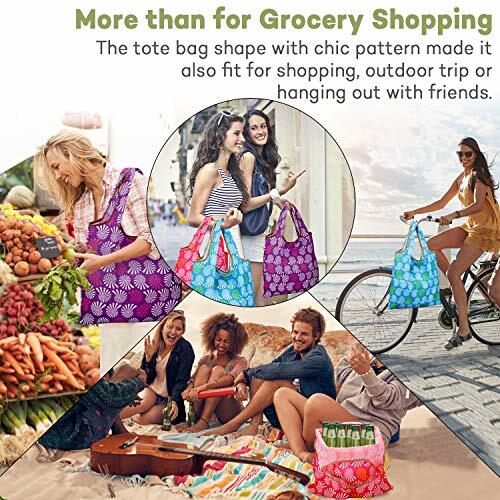 Lightweight yet Durable & Sturdy >>> What more could you want for reusable shopping bag?! 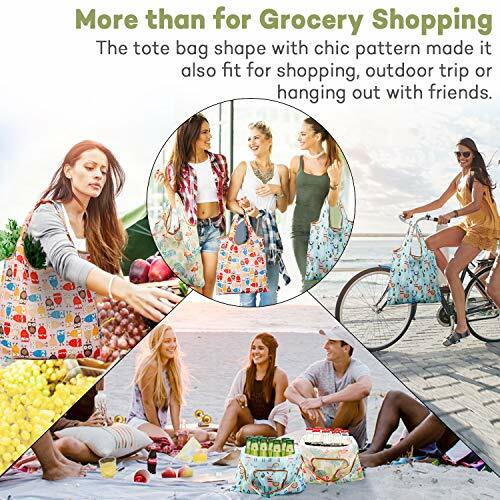 Each bag weighs only 0.08lbs however the fabric adds to the strength for holding up to 35lbs and durable use, so you can load each bags with 2 ~ 3 gallons of milk with ease.